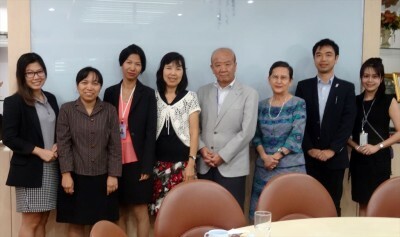 JSPS Bangkok Office and its’ counterpart, National Research Council of Thailand (NRCT) held the 5th JSPS Bangkok Office-NRCT Meeting in the FY 2013 on March 4, 2014 at NRCT. Prof. Dr. Busaba Yongsmith, President of JSPS Alumni Association of Thailand (JAAT) joined the meeting to discuss JAAT General Assembly Meeting to be held on March 14, nomination of JAAT president and NRCT Research Expo 2014. Please click the PDF below to read the minutes.